Of the people I have met over the past five months, Claiborne “Clay” Thompson has one of the more interesting paths into wine. Before he made a name producing Alsace wines of balance and charm, before he was a cellar rat at Edna Valley Winery for $6 an hour, Clay earned his Ph.D. from Harvard. So how did Clay and his wife go from Professors at Michigan State (he being a Professor of Medieval Literature and Languages and she of German) to producing award-wining wines on the Central Coast of California? It was Jean-Pierre Wolff, another Ph.D. making wine in Edna Valley, who I profiled a few weeks earlier that encouraged me to contact Clay. “I suggest you also consider Claiborne and Churchill. Very interesting and nice people”, he wrote in an email. I was familiar with the name and had seen plenty of their wine in recent years, but knew little if anything about it. 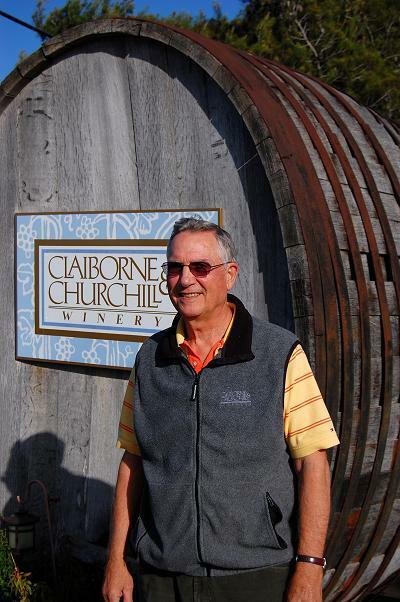 Claiborne and Churchill made a decision when they started their winery 26 years ago, to focus on the wines of Alsace. “We elected to focus on these white fruity varieties that other people made sweet and make them dry”, Clay told me. “We thought ‘probably people will just beat a path to our doorstep if we make the Riesling dry instead of sweet’”, he said with subtle sarcasm. “It took a little more work, a little educating…we had to do a lot of arm twisting to get people to try it.” As Clay spoke about his Riesling I thought about Dave Potter’s words from the previous week about the white grape. “It’s pretty”, he had said, “like a snowflake”. Clay has pretty Riesling. Clay was very willing to invite me up for a chat at his Edna Valley facility on the outskirts of San Luis Obispo. I didn’t know what to expect from him. I read some articles on their hay bale constructed winery, (this is a whole other story and almost everyone focuses on this aspect of the Claiborne and Churchill’s story. Really interesting stuff and you can read more on their site) which was a first of its kind in California. I read that it was a trip to California that inspired Clay and his then fiancé Fredericka Churchill to give up their careers and move west and it was a backpacking trip in Alsace that inspired their desire to focus on the white wines of the Alsace region like Riesling. However, I didn’t know what to expect Clay Thompson. Clay has sort of a James Cromwell thing going on. 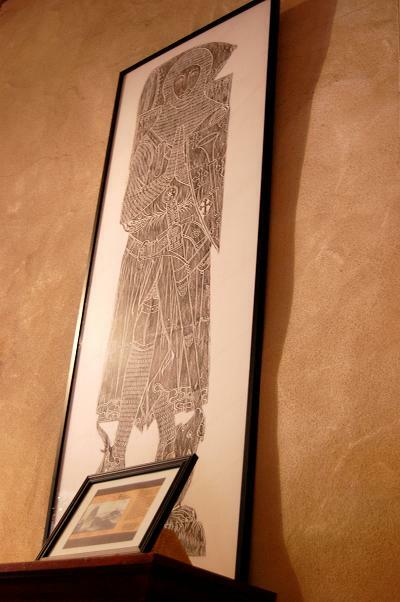 He is a tall and thin man with white hair and a gentle demeanor. He speaks softly, purposefully, and gives thought to how he might reply. Think Joe Biden and then think the exact opposite of Joe Biden. I could certainly picture him diligently at work on an account of Vikings of ye olde (The Viking and the Runestone – An Epic Tail of Bravery by Claiborne Thompson, which he could no doubt write). He would sit in a tall-backed chair drinking tea, bookshelves brimming with other scholarly works from floor to ceiling. In the background, would be a laptop and it would of course be open to alongpour.com, because like I said, Clay is a scholar and he recognizes my great potential in that arena. “I told everyone I was doing an interview with Access Hollywood,” he told us with a chuckle as we followed him into the tasting room of his Eco-friendly winery. “So there is more to Clay than Vikings and Old World wine”, I thought. He repeated the joke about an hour later when another guests asked if we were doing an interview to which he replied, “yeah, this guy is from Access Hollywood. They also work for American Idol.” The man who asked, Eric, inquired how Clay felt about a wine blogger coming to ask him questions about his wine, to which Clay responded, “It happens everyday. I carry my fame well.” We laughed and Eric (see super slick picture of him in his blue vintage Mercedes Benz), who appeared to be a regular started to im personate Clay. “Not only am I strong but I’m also handsome”. Clay then instructed me to make sure I “put that down”, which I am happy to do! Let the record note that you, Clay Thompson, who as recently as ten years ago was still carrying wine barrels around, is both strong and handsome! I also promised Eric that I would put this in the article. Eric, this is for you! At one point, a debate arose about my surname, Kelterer. I had heard it meant winemaker in German and what better time to ask then when you are interviewing a Harvard PhD who lived in Germany and his wife (also a Professor who taught German) is also present. So after some back and forth, which included a guest who was tasting wine that day that just happened to be from Germany, it was decided that a kelter, referred to a large metal vat used for wine production. Clay found this funny considering why I was visiting him. I was born to store wine, which I regularly do, in modest amounts. You hear a lot of people compare the Central Coast of California to Rhône, is that a fair comparison given that you are working with Alsace varieties here? Each location is unique, so people should just focus on the wines then? It was a trip to California that made you want to make wine. What is the story behind it? Do you have a wine making philosophy? Are there trends in California wine you are encouraged by? Do you have a favorite aspect of winemaking? Ridge comes up a lot with the guys I talk to. The many winemakers that I’ve met who are uninterested in what their wines score encourage me. Claiborne and Churchill are not a huge facility, but they have their following and do just fine. They seem content with this. They don’t need a big score from the top critics to tell them what they are doing is right, they know it is. Like Clay and Fredericka were nearly 30 years ago, I hope California wine is at a crossroads. 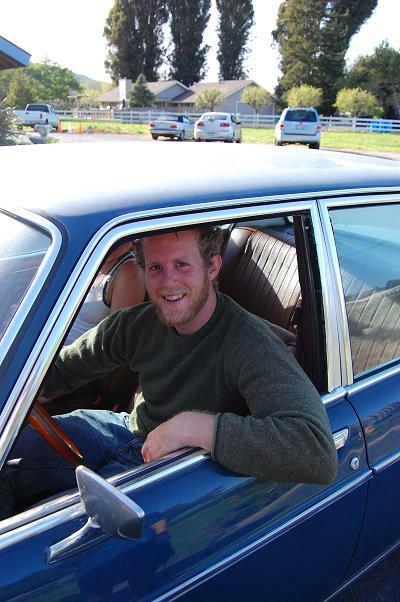 Clay and his wife decided to go against the grain when the found themselves at a crossroad. With SO much focus in recent years on the debate between big over the top wines and the critics who love them, the nuanced wines supported by critics who love to hate what the other guy likes, and with many winemakers increasingly interested in making what THEY like, is there really a revolution in the mix? Time will tell. I know there is at least a small one, for I have met a few of the soldiers leading the fight. 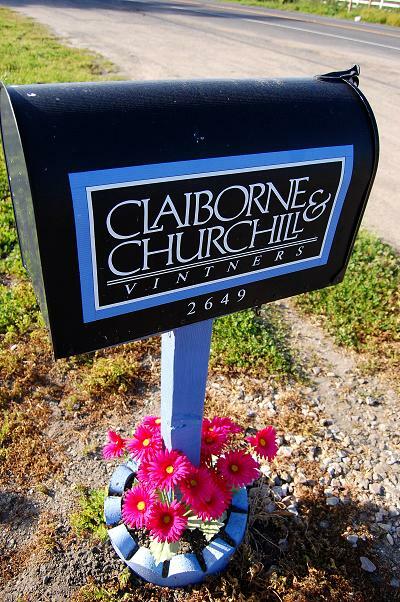 For Claiborne and Churchill, they are making honest wines they like to drink. Clay subscribes to the “keep your hands off the wine as much as possible” approach. At the end of the day, if you put away the critics, if you close the big wine publications, and if you ignore the corporate shouting that tells you what you should like, there remains one simple rule to enjoying wine. I first came across the thought when I was reading Kevin Zraly’s publication “Windows on the World”; drink what you like. This is the only real rule you need to follow in order to enjoy wine. To this I add for winemakers: make what you like and don’t let anyone tell you different. If you are looking for a fun wine experience, order a bottle of the Clueless Red, whish is the title picture for this article, you know – Vikings, Riesling, and Crossword Puzzles. If you can solve the crossword puzzle, Clay will send you a prize. Pretty brilliant. Oh, and yes, he already sent a bottle to Will Shortz. I happened upon this while exploring your blog, and have to commend you for this fantastic and worthy interview. I cut my teeth on Claiborne & Churchill wine, and these people taught me everything I know about the industry. They are so generous with their time and resources, and are truly good-hearted, talented and kind. I feel like its folks like these that make Central Coast wine special – no pretention, all quality and class and good humor. Thank you for the kind response Sarah. The Thompson’s are the finest of folks. In my travels, I have found a spirit of cooperation alive and well from Santa Barbara to Paso. This is not to say it does not exist else where, but particularly here.